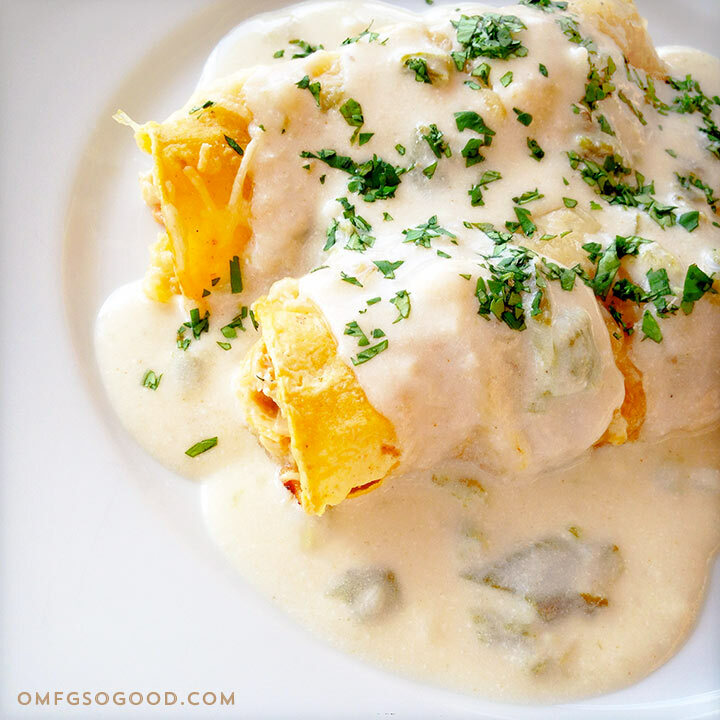 hatch green chile chicken enchiladas | omfg. so good. I have a bad habit of sharing photos of what I’m eating for dinner before considering the fact that I won’t have time to write a post or share the recipe for, more than likely, two weeks. Then I feel really guilty when my friends want to eat what I’m eating, but they can’t because I am the only one who knows how to make it. Yup, the only one in all the world. These hatch green chile chicken enchiladas are a great example. I mean, I’m sure there are tons of recipes out there for chicken enchiladas, but this one is perfect. 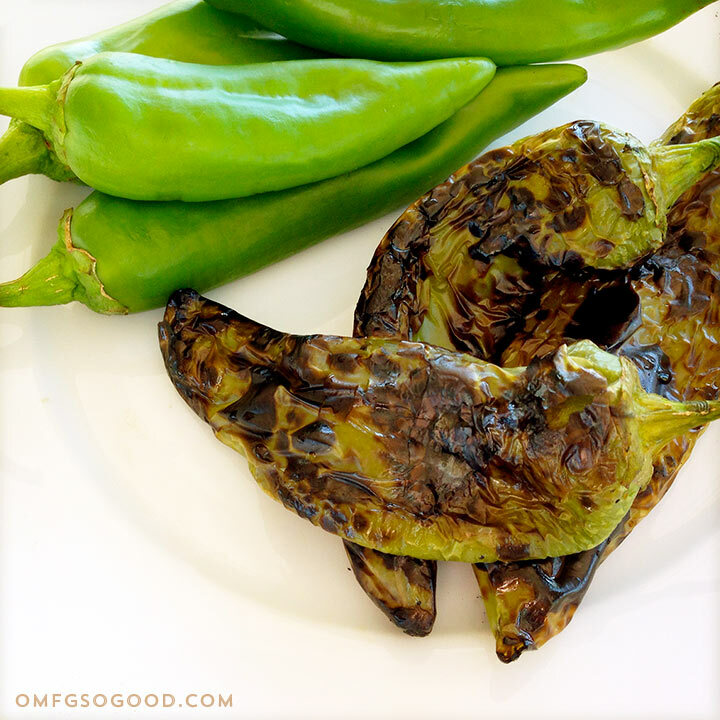 I’m allowed to say that because I lived in New Mexico for a few years, and I honed the skill of roasting and incorporating legit hatch chiles into delicious meals. The day after I graduated college, I packed up my little hatch back with the small amount that I owned and drove the 1,903 miles across the country to a city and state I had never once even visited. It was, quite literally, a close your eyes and point at a spot on the map decision. I did this a lot in my 20’s, way before the popularity of cellular technology. It drove my mom and dad bonkers. I knew nothing about New Mexico, other than it was far away from the small towns I grew up in, and the cost of living was comparable to what I was used to. No jobs. No plans. Just me, my then-serious boyfriend, and two small cars full of crap packed in boxes that would soon become our only ‘furniture’. It took us just a few days to complete the trek, another day to find an apartment, a few weeks to find a job, but just a few hours to fall in love with the glory that is a New Mexico Hatch Chile. The smell of them roasting on open fire permeated the air. And. It. Was. Amazing. After just a few years my job in advertising transferred me to Arizona, where I eventually put my roots down. I have never forgotten that smell. Yup, my love of fresh roasted chiles also put its roots down… and this is me, sharing that love. Chop the chiles and set them aside. To make the filling, heat the olive oil in a large saute pan over medium-high heat, then add the chopped onion and cook until slightly softened. Add the garlic, 1/2 of your chopped chiles, and the tomato, then cook a few more minutes. Add the pulled chicken, cumin, paprika, cayenne and salt, then stir to combine. 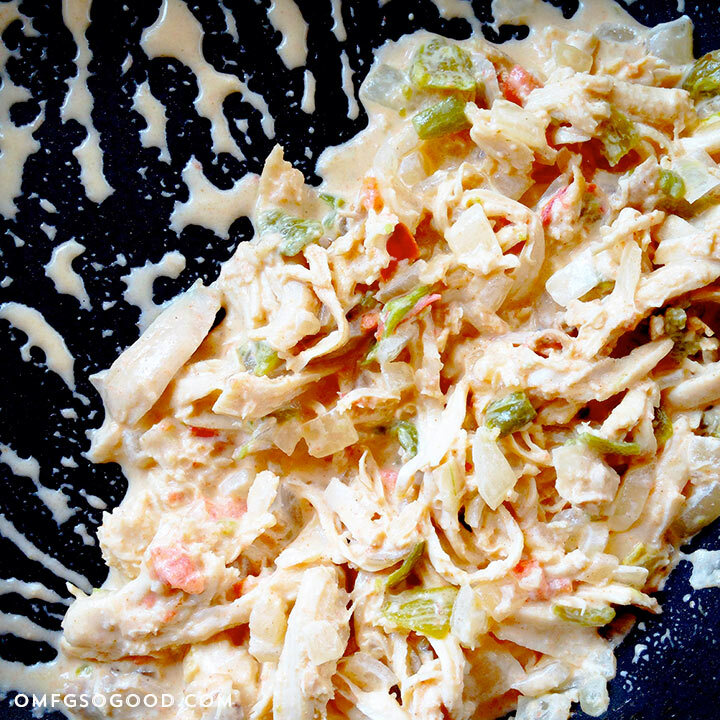 Add in 1/4 cup of the sour cream and stir to coat the chicken and veggies with delicious creamy, spicy goodness. Transfer the filling to a bowl and set aside. To make the sauce, melt the butter in the same skillet, then sprinkle in the flour (or masa harina for gluten free) and stir to create a paste. Cook for just a few minutes, then whisk in the chicken broth. Whisk until the mixture thickens slightly, then stir in the sour cream, 1/2 cup of the grated cheese and remaining green chiles. Whisk until smooth, season with salt to taste. 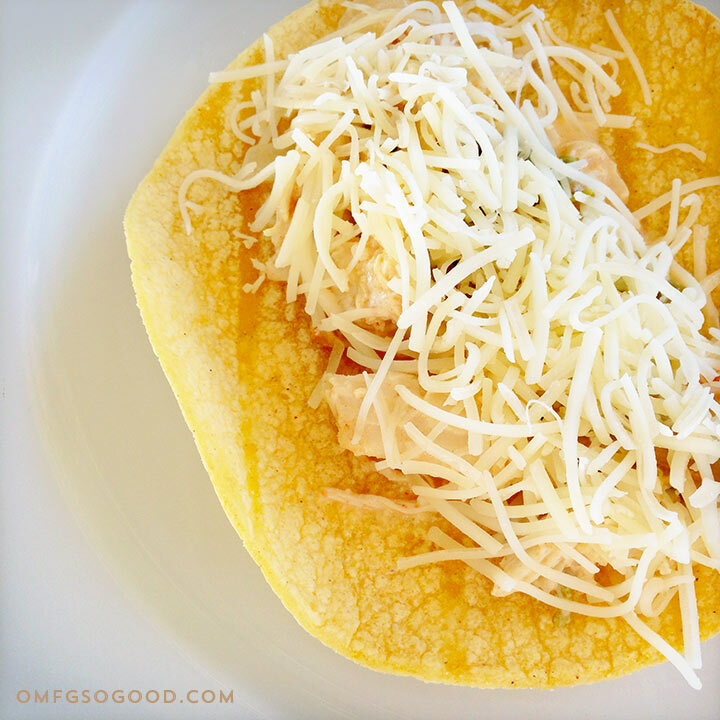 Stack your tortillas on a plate and microwave them for 30 seconds, just to warm and soften. Roll each tortilla up into a nice little package, and arrange them (seam side down) in a single layer in a 9 x 13″ baking pan or casserole dish. Pour the sauce over the top of the enchiladas (reserving a cup or so) and sprinkle with an additional layer of cheese. Bake them in the preheated oven for 20 – 30 minutes, or until the cheese has melted and everything looks bubbly and delicious. To serve, spoon a little more sauce over the top of a few enchiladas and sprinkle with chopped cilantro. Now, I’m off to the store to buy another pound of chiles, before they’re all gone.